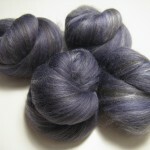 This 3.6-oz set of Shadows batts is carded from merino, corriedale, and tussah silk, producing a heathered greyish-bluish purple with touches of olive green and dark red. 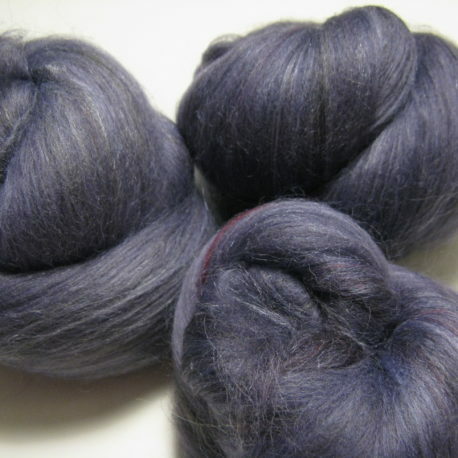 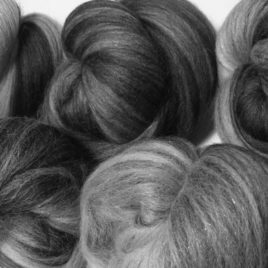 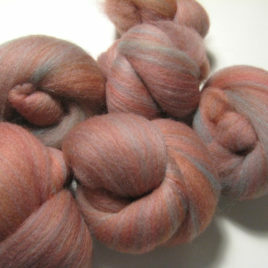 This blend is pleasantly woolly but still quite soft, and it should spin up as a smooth yarn with plenty of shine from the silk. 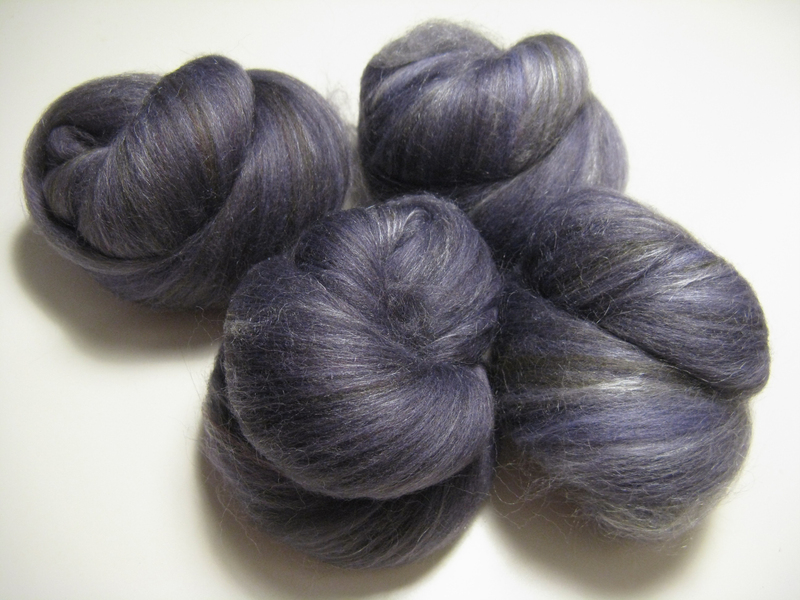 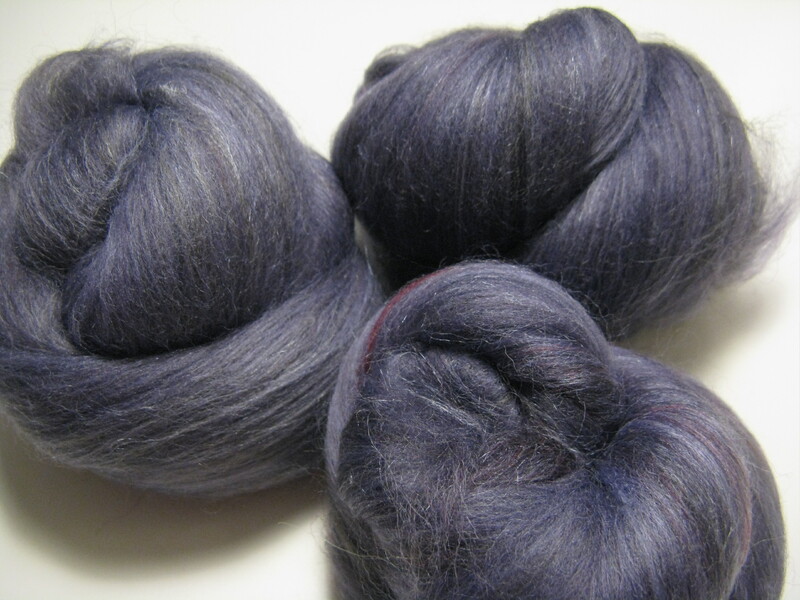 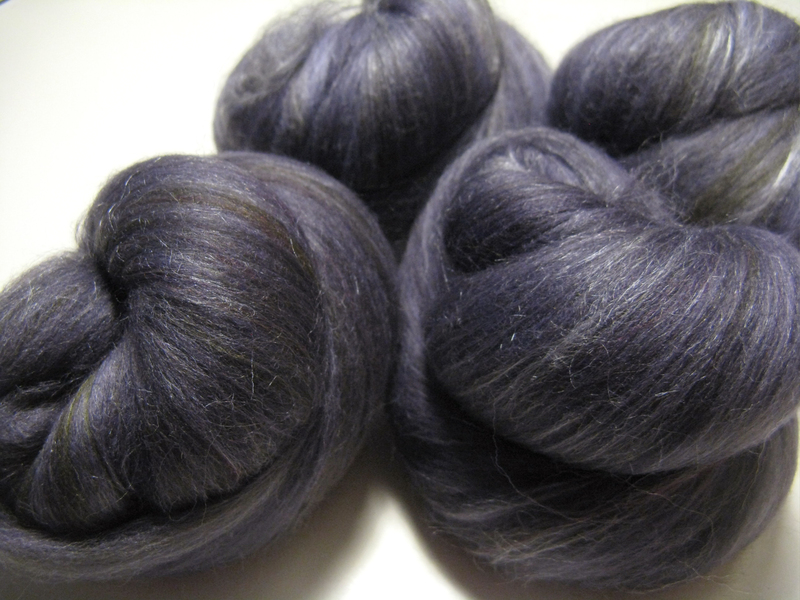 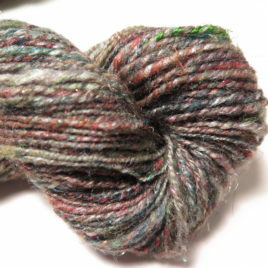 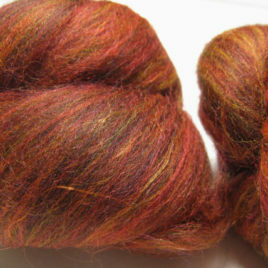 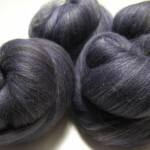 This blend is not superwash and will felt; if felting is not your intention, please use care in washing.